Washington State Motivational Speakers are some of the best in the country – maybe even the world! But that should come as no surprise to event planners searching for a motivational speaker in Washington. Washington State is one of the most groundbreaking, forward-thinking states in the country. The city of Seattle alone leads the nation in terms of technology, start-ups, eco-planning and green infrastructure, not to mention some seriously fantastic restaurants and nightlife. Washington State is constantly pushing the envelope, searching for better and better sustainability, and creating a model society that serves as an example for the rest of the country. So when looking for Washington Motivational Speakers, it’s obvious only a very particular type of speaker will succeed with a Washington audience. Have a fresh vision – Washington doesn’t do things like everyone else does, so it’s crucial that your speaker isn’t afraid to push the envelope and offer a fresh take on business strategies and sales tactics. 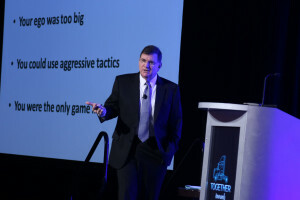 Value intelligence – The world’s brightest minds gravitate towards Washington, so make sure your speaker is articulate, experienced, and up-to-date on industry trends. Have the gift of inspiration – Technology and business are two important parts of life in Washington, but the state’s majestic natural surroundings ensure residents remain balanced. A great speaker needs to provide techniques to keep moving forward while staying inspired about business, but also about life itself. 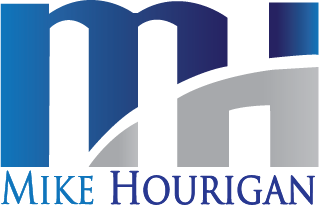 Mike Hourigan is Washington Motivational Speaker, Author and Consultant who specializes in change management, negotiation skills, communications skills training. Contact Mike at 704-875-3030, 888-PRO-KEYNOTE or fill out the form below.